Earn up to 4,720 reward points. 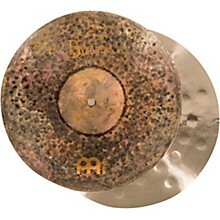 Distinctive hi-hat cymbal due to its weight relation between top and bottom. Lightweight top produces a dark stick response with little wash, with a fat "chick" sound. Dark and dirty. 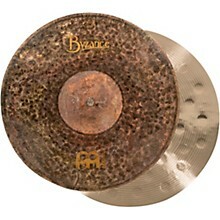 These are the words that describe the Byzance Extra-Dry hi hat cymbal. The surface is completely unlathed and untreated (crashes are lathed on the bottom). Just raw hand-hammered bronze--for a raw earthy sound. There is no wash. The extremely short sustain and stick definition come from the deep hammer marks layered with a more traditional hammering. 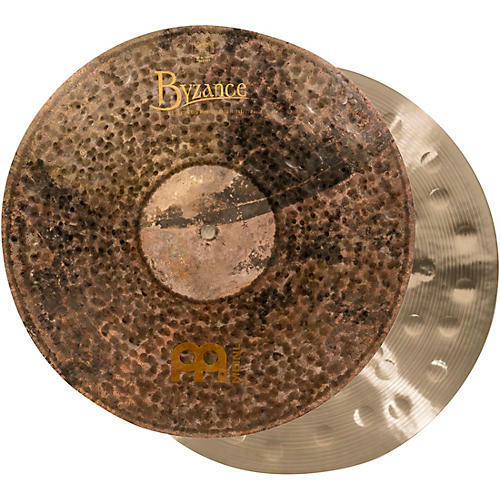 Smoky sound, buttery feel and a 2-year warranty. Use for studio, fusion, Latin, R&B, country, rock, jazz and pop. Looks and sound that stand out from the crowd. Order today!